Bourbon does not grow on trees.... but the black angel's share does....especially when you are distilling the grains to make bourbon. Earlier this summer we took a mini-vacation to Mammoth Cave Kentucky. They say you get lucky in Kentucky, I would say my stroke of luck was finally convincing my two tired kids, my husband and my father in-law that we MUST stop at the Jim Beam Distillery on our way home. I tried without success to stop on the way to Mammoth Cave.... I thought that having a bottle of bourbon would mix well with underground forays into the dark cracks in the earth and camping by the light of the moon. That's what you do in Kentucky right? Drink bourbon? After all, moonshine cures all ails...doesn't it? angel's share. 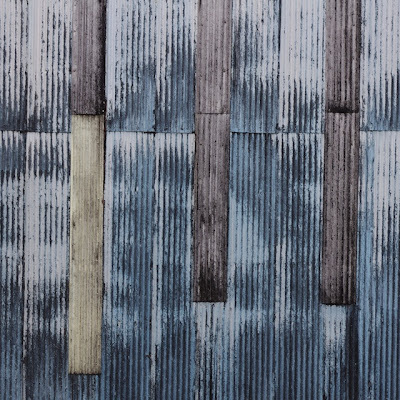 the black mold that grows on everything around the distillery. Turns out, even tears didn't work on my family. No... they wouldn't have their food-blogging mama, hijack their trip and turn it into some kind of bourbon-fancy. I stayed true to our course, pushed back the tears and the curse words and headed down the road to the Cave City exit. If you have never been to Cave City, just know that the tiny little grocery store called "Houchens" pronounced "Halgens" is not the friendliest to outsiders, be prepared for stares. I was the fourth one in slow moving line. The cashier seemed did know everybody and their mother and father... and all of their names. She struck up conversations with them all, except me. Luckily the young bagger boy was amused with my northern foreignness and carried all of my groceries out to the car, loaded my car and even put the bag of ice into the cooler...I thanked him with a proper tip and drove back through the hills to our campsite at Mammoth Cave. Wish I had that bourbon. Our mini-vacation was supposed to be relaxing, dreamy and full of wondrous hikes into the nether regions of Kentucky's dark hills. Somehow, Kentucky's luck ran out as I had a 4 day migraine that wouldn't budge with the help of Ibuprofen, coffee, or CocaCola. Wish I had that bourbon. Modern medicine killed the moonshine business. Moonshine was the medicine of the hills. Then along came aspirin, iboprofen and anbesol and soon it was cheaper to buy a bottle of aspirin that it was to purchase your weekly supply of moonshine. I really wished I had that bourbon. My headache was sticking to me like the angel's share sticks to everything around it. the general store. i think this is the general. I hung back on one of our last hikes into the caves, for the previous trip my heachace was so bad I had asked one of the sweet guides if he would take me back. After all, we were in the underground lunch room which happened to have an access elevator to the surface. Couldn't they just pack me in the elevator their with the food supplies. Beam me up.... anything, something....Please? The kind guide offered to walk me the mile back to the entrance of the cave. I declined as that would have held the entire group up at least forty minutes. Instead, I marched the next 3 miles, up and down underground valleys and hills with a headache that pounded with each footstep until we finally emerged to the surface. Can you blame me for finking out on the last hike? Ahh... mama time. While the rest of the family were hiking with lanterns underground, I drove back into Cave City to see what life was like when you weren't at the grocery store. It was delicious. 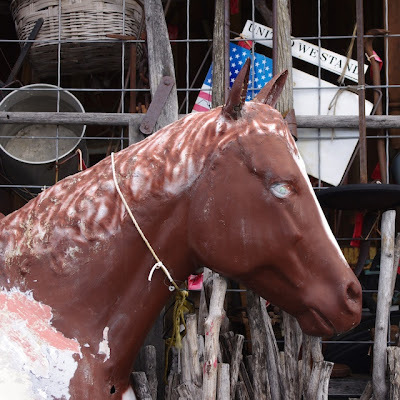 I spent an hour at the General Store which had more junk than you could shake a stick at. 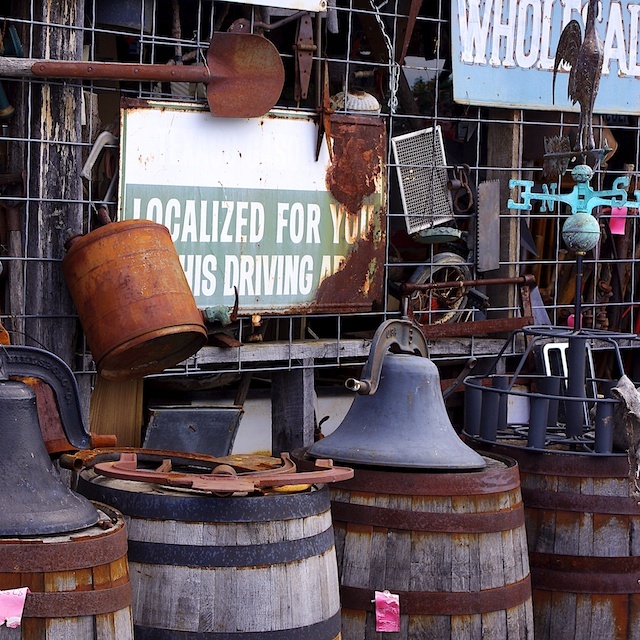 Some junk, some antiques, but the mix of it all was some how beautiful. I drove around and stopped here and there. I had a young blue jean wearing, brass belt buckle donning, white t-shirt, cigarettes in the back pocket Kentucky gentleman try to convince me to try out the ziplines through the hills. I gently declined. I purchased two handmade fairytale wooden birdhouses from a sweet little place on the side of the road and finally took a wrong turn and found myself on a gravel road face to face with a confederate flag and a tumbledown house. That was my cue to turn around....I finally watched Deliverance for the first time this year....and the memories of that were too fresh in my mind to investigate the hills any further! I finally did get my bourbon, just not in the bottle, but a can. Our stop to the Jim Beam Distillery was smack dab in the middle of my driving shift home. Hence no tasting, just the tour. They happened to sell all things bourbon at the gift shop and I walked away with Kentucky Bourbon Vanilla Sorghum. mmmmm. I have had it in my cupboard since the end of June. Everytime I opened my cupboard, I would see the little can, staring at me. Finally, I cracked open the sweet jar of sorghum as if it was a new can of paint. Instead of painting my walls, I painted my sweet peaches and tucked them into a warm peach crisp. Still waiting for my bottle of bourbon. Next time. 8 organic peaches blanched for 1 minute, peeled and cut into moons. Oven to 350 degrees. 8x8 pan. 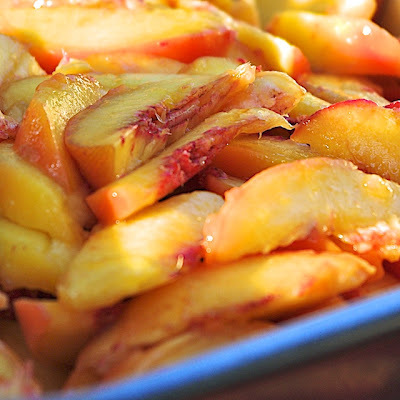 Place cut peaches in pan. Drizzle 3 TBS of bourbon vanilla sorghum over peaches. (more if you enjoy a sweeter crisp) Place oats, cinnamon, flour, brown sugar, dash of salt and butter in food processor. Blend until you have a nice crumby topping. Place topping on peaches. Bake for 45 minutes - an hour. Make sure it is bubbly and brown before you take it out. Serve with organic cream. 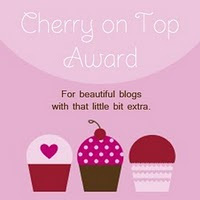 Enter my giveaway for yummy treats. Nut confections and Organic Dried Fruits! In late summer, I live for peach crisps :) This looks fantastic! I've never added bourbon to mine before, but I bet it is the best. Love the use of the sorghum! 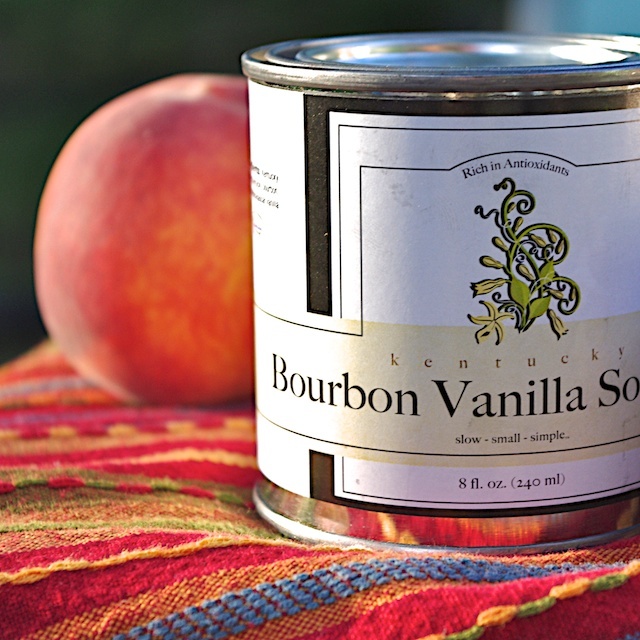 Peaches and bourbon go together like...well, peaches and bourbon! Mmmmm...your secret ingredient sounds amazing! 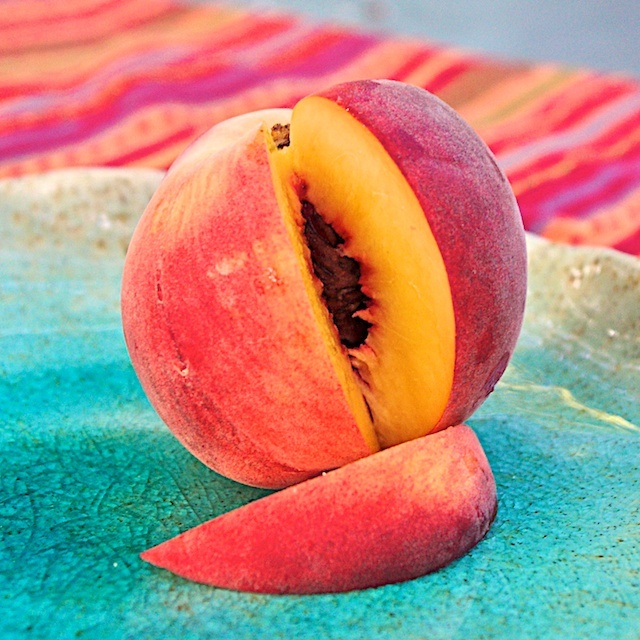 Perfect complement to peaches! That is just amazing!!! 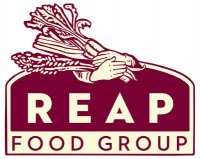 Wow, peach crisps always have such a special place in my heart. Your pictures are great! 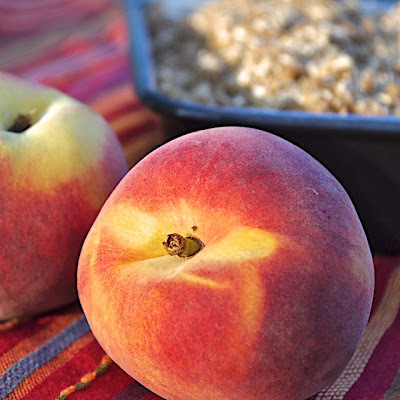 Your peach crisp looks fabulous and I love the addition of bourbon! Love those barrels ;-) pricey, for sure!! p.s Joconde is an almond sponge. Look at those beautiful picture! Those peaches look beautiful. Oh, Kentucky - is there anyplace else in the world quite like it? Bourbon Vanilla? Never heard of this, but I really want to use it now! Love your story and recipe. Something similar happens with me when we hike in New Hampshire. If I'm not hiking I'm off searching for antiques, hunting down farmers markets, catching the local scene, odds and ends. And if I were in Kentucky I'd definitely hunt down that bourbon too! Bet it livened up your crisp! Love your blog and writing! Will be back to look some more. Sounds like you're enjoying your vacation very much. Sorry about your migraine. Hope you're alright now. Take care & have a wonderful day. Your stories always make me laugh. Hiking in the caves with a migraine wouldn't be for me "neither." I would have been searching for the boubon, too. At least you finally got to make a gorgeous peach crisp with our "can of sorghum vanilla bourbon." With the late summer peaches are finally widely available, but they are still selling cherries at the fruit stands which I have never seen this time of year.